Any Campus must be protected from safety and security risks and hazards, irrespective of threats originating from internal or external sources. Peace and safety should be maintained round-the-clock. 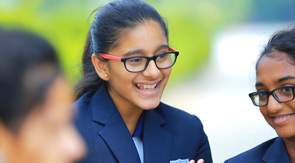 Every member of the Manchester International School Community within the Manchester International School campuses will bear an onus of responsibility so that each person, all material and the properties of Manchester International School are safe and secured. It is now the right time for us at Manchester International School to understand that we need to come together and strengthen our safety and security. We cannot afford to be complacent, so far as safety and security aspects are concerned. These are now global issues and have surpassed all geographical boundaries. Manchester International School is taking necessary steps to enhance overall security management in the main campus. Manchester International School strives to focus on protecting all students and staff. A security policy has been developed to enable Manchester International School security staff to perform their duties with fairness and consistency. Our Security policy outlines certain procedures to be followed on Manchester International School campus. Staff and students are requested to wear their identity cards to ease identification by security staff. Security is provided round-the-clock at the campus. The Safety and Security Department monitor issues related to school safety and security. Necessary prevention programs like Fire Evacuation, Lockdown and Bomb Threat are developed and periodically reviewed to assist school and administrators in evaluating school safety. It also provides training in security and safety to its guards and other staff. The campus sees a security booth at every exit point. Manchester International School also takes a strong stand against drug and alcohol abuse, along with a zero tolerance policy towards bullying. In addition to dorm parent mentoring, a school counselor is available to assist troubled students. Local police are also at hand in case of any unforeseen irregularities and respond quickly to contact. In today's world, security is an increasing priority for schools. There are real and potential treats for students, teachers and material assets. CCTV has become increasingly popular for schools and education facilities The CCTV is in operation in the school campus and is being monitored and recorded for the purposes of crime prevention, prevention from bullying, for the safety of our staff and students and for the protection of school property. This system is in operation round the clock, every day.Issues such as burglary, vandalism, anti-social behaviour and unwanted visitors need to be addressed by all education establishments. With the ever-increasing cost of new technologies in schools, the risk of burglary and vandalism need to be given the appropriate consideration. Having surveillance solutions can be a great tool to decrease the risk of such issues. CCTV is now being used to reduce bullying by placing cameras at strategic locations. When an incident occurs, a teacher can review the footage and identify the culprit or culprits. Some schools are using CCTV footage as an evidence to show the parents of misbehaved students that their child has a problem. We realize that Manchester International School needs to be a happy home away from home for our students to succeed, and are always looking at ways to raise the bar and provide a memorable residential school experience.